One of my favourite things about being a "green" beauty blogger is discovering so many new and exciting brands, seriously, I probably stumble across a couple every week and it never gets old. I would never have found these brands and beauty products without making the switch to natural beauty and it's one of the reasons I'll never switch back to conventional brands. I stumbled across Miskin Organics a good few months ago on Instagram and became smitten with the simplistic style packaging and gorgeous sounding products (honey choc lip balm?! tell me you wouldn't want to eat that). I was over the moon to be contacted by Amanda, founder of Miskin asking if I'd like to sample the range, and because I'm not crazy, I obviously said yes please! Everything arrived bundled in a little cotton drawstring bag and I've been indulging in little treats ever since. 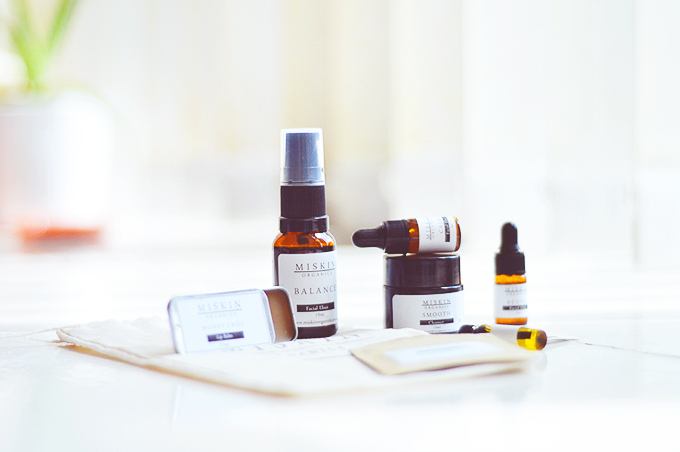 Miskin Organics encourage you to make positive changes to your lifestyle, your health and wellbeing whilst they make positive changes with your skin, naturally. Everything is hand crafted in Amanda's studio in Queensland, Australia, using the highest quality cold pressed, organic oils (take a peek at the ingredients page). You can really tell this brand has a sense of purpose and so much care has gone into every little detail to create the bext experience possible for us. My favourite product from the range has to be the Detox Face Mask, it is so gentle and completely unlike other clay masks I have tried in the past. As well as a blend of purifying clays it contains oat flour, matcha green tea, pink rose petals, coconut milk and MSM. It doesn't feel drawing or dry tightly on the skin and I think it would be a perfect clay mask for sensitive or dry skin types as it just revives, softens and soothes any pesky skin issues. It definitely should be called something like 'the angel kisses clay mask' (or something a lot less sickly) instead of Detox. Granted I only got two uses out of my sachet, so perhaps I should calm down, but both times my skin just looked great afterwards, what's not to love. The Balance Facial Oil is another winner (though my boyfriend would disagree as he is personally offended by the scent - I think it's quite nice but whatevs) and contains a harmonious blend of hemp, jojoba, rosehip and borage seed oils, aswell as extracts of chamomile and calendula, a solid duo you can never, ever go wrong with. The oil itself is pretty lightweight and sinks into skin nicely when applied to damp skin, I like using this in the evening as it feels moisturising enough to use on its own and come morning redness or blemishes lurking are reduced by half. Two honourable mentions are the honey chocolate lip balm - this has been living on my desk and keeping my lips super soft. It's a good job it doesn't taste of chocolate or I would have probably eaten it. Then there's the Smooth Cleanser, this is pretty unique and is incredible for a good facial massage as it has such good slip. The formula is an oil-gel, something I have never used before and at first I found it quite strange, especially as I'm not a fan of oil cleansers too much. This emulsifies with water though and becomes easy to remove, conditioning and cleansing the skin without stripping it of natural oils and leaving it tight feeling. It's not the best at removing makeup but for a second cleanse? lovely. 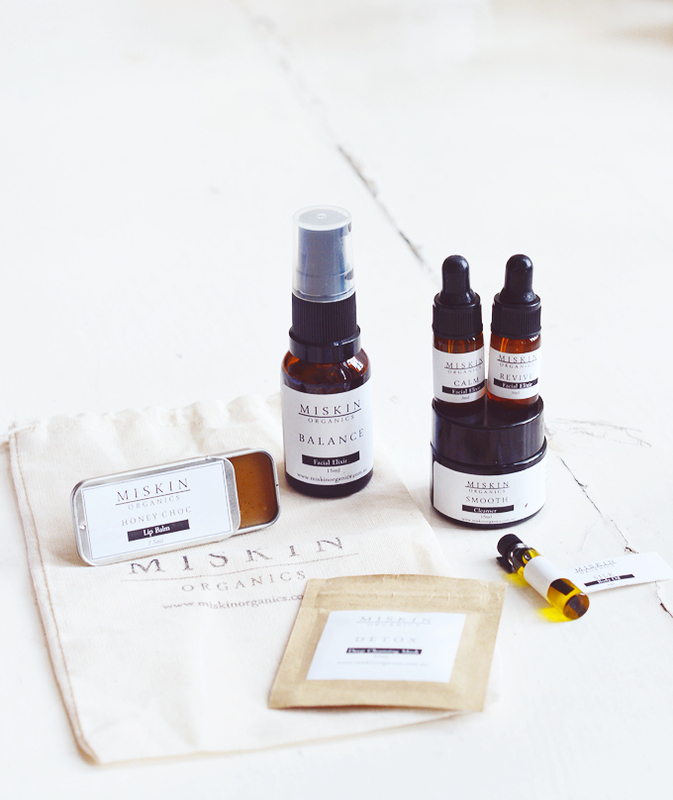 What do you think of Miskin Organics?